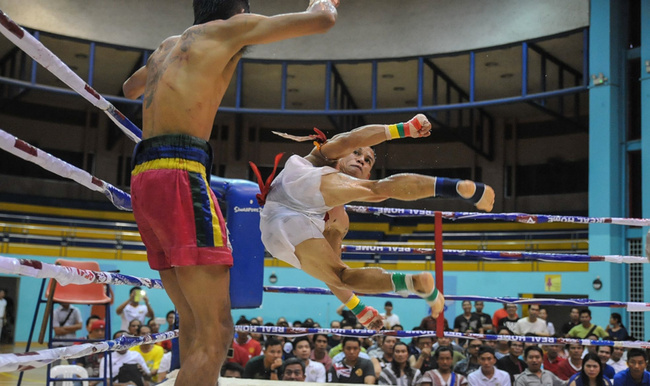 While other combat sports are constantly being modernized in order to adjust to the sensitivities of the 21st century, the traditional Burmese style of Lethwei remains strictly traditional with a set of old fashioned style rules that have, so far, stood the test of time. There are no judges: if there hasn’t been a knockout after five three minute rounds, the contest is called a draw; fighters use hand wraps but not gloves and, in addition to all the strikes permitted in a conventional Muay Thai match, head butts are positively encouraged. Millions of Burmese migrants have left behind a country which only recently freed itself from the shackles of a military dictatorship in search of work across South East Asia, but despite this exodus Lethwei has never really gained any sort of traction outside of Myanmar. This could partly be due to the archaic rules and regulations as well as the prevalence of Muay Thai, which is a much more palatable sport for the international audience, but one Burmese businessman in Singapore is slowly starting to change that. 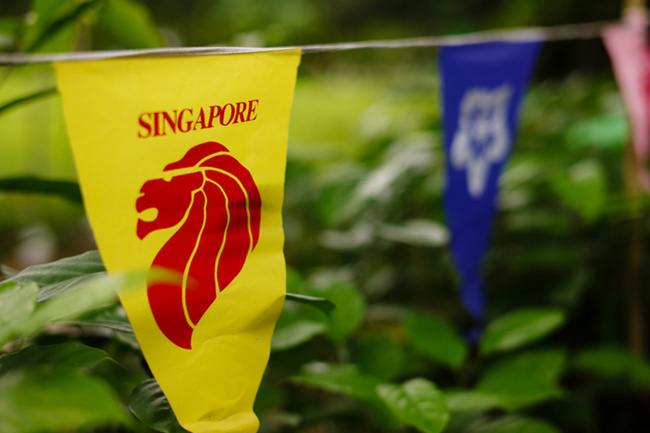 In many ways it’s a strange combination, a fighting event which would not look out of place in the 19th century being held in the ultra modern metropolis of Singapore, but ‘Ultimate Lethwei Championship’ organizer Soe Lin Hein says he wants to start sharing a key component of his country’s sporting culture with the world. “I spend much of the year in Singapore and I want to promote our tradition of Lethwei, I have done three events so far and I plan to do more,” he told Fightland. The third installment of the Ultimate Lethwei Championship took place at the Yio Chu Kang Sports Hall last Sunday afternoon in front of an audience that consisted primarily of Burmese people, just some of the 100,000 or so migrant workers from Myanmar currently living in Singapore. Singapore is a country where the cost of buying a bottle of beer in a bar can frequently be in excess of $10 USD, so most forms of entertainment are financially out of reach for manual workers from impoverished countries who are trying to save enough money to send some home at the end of the month. Perhaps that’s why the fighters received such a raucous reception from the 500 or so fans in attendance at the Yio Chu Kang Sports Hall, situated in the heard of Singapore’s Burmese community, and the majority of those in the audience would have been delighted to see all the Myanmar representatives on the card prevail courtesy of a KO. There were also fighters from the Philippines, Cambodia and Thailand in action, and four of the six fights ended inside the distance, including a main event that pitched Soe Lin Oo, a big name on the Lethwei scene, against Italian Muay Thai veteran Calogero Palmeri. In the absence of gloves, most Lethwei fighters prefer to use elbows rather than risk injuring their hands or wrists but Lin Oo threw caution to the wins and floored his opponent with a combination of punches that left the Italian flat on his back on the canvas. There was a pause after the knockout as, in accordance with traditional Lethwei rules, the Italian had the option to receive treatment before returning to the fight but sensibly his corner decided that their stricken fighter had had enough for one day. Lethwei fights are accompanied by drumming and music, in much the same way that Muay Thai matches are, and after the bout had been waved off Lin Oo performed a victory dance with the national flag of Myanmar draped triumphantly around his shoulders. It’s not a sport that is ever likely to have global mainstream appeal, but Hein plans to promote more of these Lethwei cards in the future, meaning that one of the most traditional fighting styles in the world could become an unlikely fixture on Singapore’s sporting calendar.